Are you ready for sizzling summer fun? This July, 1840s Carrollton Inn is promoting events in the local area and providing discounted rates to rebuild Baltimore. There have been tragic events over the past few months that have taken a major toll on local businesses. We believe that the Baltimore community should join together and rise above the recent misfortunes. For the entire month of July, enjoy a two-night stay at the 1840s Carrollton Inn and receive $50 off your stay. For every additional night, take an extra $25 off your stay. Our hope for this special is that our guests will use their saved money to support Baltimore’s local businesses and help restore our beautiful city. Get involved in local events during the month of July! Charm City Fireworks on the 4th of July is a fantastic experience that should not be missed. Maybe take a cruise through the Inner Harbor? Spirit Cruises are offering specials that entire weekend that are guaranteed to make this Independence Day a blast. America’s largest free arts festival, Artscape, is July 17-19 and is something the entire family will enjoy. The lineup for each day is released on their website. All exhibitions and shows this year are inspired by the 2015 Artscape theme: water. Make sure to donate to Artscape so this festival will remain the largest free arts festival in Baltimore. And as always, show your support for the Baltimore Orioles! Get your tickets for home games the weekend of July 10-12 against the Washington Nationals. 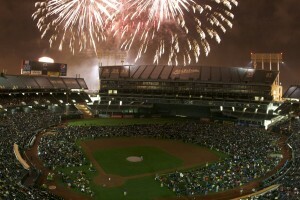 There will also be a fireworks show July 31 after our Bird’s play the Tigers. There isn’t going to be a dull moment in Baltimore this July with all of the events and activities going on in the local area! Check availability and book your stay at the 1840s Carrollton Inn now to ensure you are a part of the fun! Use promo code SIZZLE15 when booking your reservation.